The Karen Hub is a mixed use complex set on 20 acres in the heart of Karen that opened its gates on February 4th 2016. It is 200 meters along the Dagoretti Road, from the Karen roundabout. 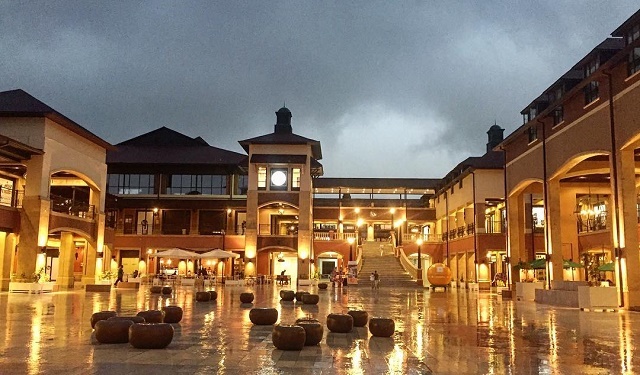 The Hub comprises of stylish buildings and open-sided walkways, with a centerpiece of a large square or piazza. It boasts a man-made lake overlooked by restaurants; and there is parking space for 1,200 cars. It houses shops dealing in fashion, furniture, fitness, and various eateries, with Carrefour – the huge and prestigious French supermarket – as its anchor client. CESP Africa was sub-contracted by Laxmanbhai Construction Limited- the main contractor of the Karen Hub project – to supply and install a waste water system. A 50,000 GPD JET Waste Water Treatment System was installed by CESP Africa at the Karen Hub and it took only 15 months for the system to be up and running. This system treats both the grey and black water that is produced during the day to day activities at the mall. The treated water is then reused for outdoor purposes within the malls environs. A SCADA monitoring system was also installed at The Karen Hub by CESP so as to gather and analyze data collected from the Waste Water Treatment System and provide the System Operators with timely reports of its performance, thus enabling faster and more efficient control and monitoring of the installed Treatment System.